For long time members of both CMS and TXL, many years ago when the majority of the racing was on ovals, somewhere along the way I came up with the idea to create Power Rankings each week to put the spotlight on those drivers who deserved the accolades of great results week after week. The main reason I wanted to do it was to kill the quiet in the forums in between races, and especially back then when we ran the entire Cup season over a year, interest would wain, drivers would fall out, and it was my way of saying "Check out the die-hards!". But it was met with some enthusiasm by many drivers, as it was a way to highlight those who were consistent on the track, not just in attendance...and I hope some of you find that it adds something to the wait between race nights. How are the Power Rankings devised? To sum it up, using an algorithm based on several factors including average finish over the season, number of drivers in each race, average number of drivers per race, finishing position weighted based on total drivers in the race, and finishing position in the last 5 races with the most recent events weighted higher. Provisionals are counted against drivers, but excluded from average finishing position calculations, and a few other factors at play too. It took me 2 years to come up with the current method, and I think it works great. The Power Rankings are per class, and only the Top 3 in Pro, and Top 5 in AM and Gents are listed, which is based on the number of results calculated. Si I now give you the first Power Rankings list in 14 years! This class has been very competitive, with 4 different winners in 6 races. With an average of 9 drivers starting each race so far this season, a bad race can hurt your shot at the title. 1. Paul Hamilton - This wily veteran is doing what it takes to win Championships. Not missing a race this season, Paul has 1 Win, two 2nds and two 3rd place finishes out of 6 races. His average finish of 2.7 is tremendous, and is clearly the reason why leads in the Championship points, and is at the top of our list. 2. Anthony James - After starting this season with a 4th at Daytona and 5th at Road America, then missing Bathurst altogether, "AJ" has stormed back with three straight wins to put him in second place in the title hunt. With an average finish of 2.4 this season, he's making the most of his time on the track, and there's plenty of racing left. 3. 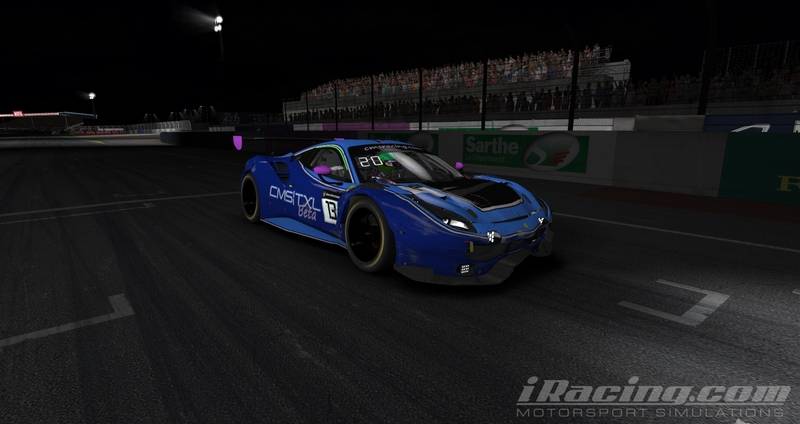 Mike Tyler - After a long hiatus from online racing, it's great to have Mike back on the track with us again. He claims to be rusty, but racecraft makes up for any lack of time and with an average finish of 5th after running all 6 races this season, we can bet that Mike will be in the hunt for the title as well! 4. Randy Drumhiller - Another veteran racer that we're all happy to see once again, Randy has only missed racing at Bathurst this season, and with 2 podium finishes already to go with an average finishing position of 4.2, Randy has shown consistency each and every week, moving his way up the standings. 5. Jay Dargert - Even though Jay has missed two races this season, he took the win at Bathurst and a second at Lime Rock to lay claim to a spot in the points chase. Even with two provisionals and an average finish of 5.8 due to a bad night at the season opener, don't dare count Jay out of contention for the Championship, especially with Watkins Glen ahead on the calendar. Just like the Gents class, this division has seen 4 different winners this season after 6 races, but with an average of 14.5 drivers starting this class each race this is the most active class in the series. Which means a bad night really hurts! 1. Kris Hudson - Another long time member of CMS, Kris has always had a tendency to find the groove when it counts. With 3 wins and two 2nd place finishes, his average finish is 2.5 due to an early incident at Sebring where he drove back up to 8th place by the end of the race. With three races to go, Kris has control over the points chase, but he would be the first to tell you that it's not over till that last lap is done. 2. Jay Freels - With a bad start to the season at Daytona and Road America, Jay has rebounded since then and posted an average finish of 5.5 the last four races. With experience and determination he has improved week after week, and with the size of the fields in GTE-AM it's a testament to Jay's racecraft! 3. Peter Hebron - After starting the season with a 3rd at Daytona then winning in week 2, the weeks since have been unkind at times. Even with an 11th at Sebring due to the early carnage, Peter has an average finishing position of 5th after running all 6 races, and is second in the points with lots of racing left to go. With his speed, watch for Peter to put that car back in winner's circle again before the season's end. 4. Samuel Scott - With a win at Sebring where he also finished 2nd overall, it's apparent that Samuel has the speed to contend for the win every week. But besides that win, Samuel also has two 3rd place finishes, and an average finish of 5.4 with one provisional. Another driver that has shown improvement each race to go with his incredible pace, another great addition to this series. 5. Joey Tungale - Some drivers would have quit after the start Joey had to this season, but not this guy. He finished Bathhurst in 7th against a very tough field, and then after Germany he found the podium at both Sebring and Lime Rock. An average finish of 8.3 doesn't really tell the story here, and after personally chasing him at Sebring, I'm betting on more podiums the next three races. This is a class that contains both long-time members and some newcomers, and some great racing within this division each week. This class has 4 different winners in 6 races this season, and attendance has been up and down but still averages out at 9 drivers per race. 1. Leif Peterson - With two wins, a second and a third this season, Leif sits in first place in the GTE-Pro Championship points. His average finish of 2.8 is just remarkable considering the level of competition. The only blemish on his season so far is a 6th at the season opener at Daytona, there's no doubt that Leif will probably end the season with another win (or more)! 2. Jason Lundy - While not the greatest season for one of the League Admins, his last three races have been on the upswing, with 3rd place in his last two outings. Overall he has an average of 6.2 for finishing position, but sometimes numbers don't tell the whole story....and persistence on overcoming those bad nights has kept Jason in contention for podiums these last few weeks. Something that isn't a surprise to most of us. 3. 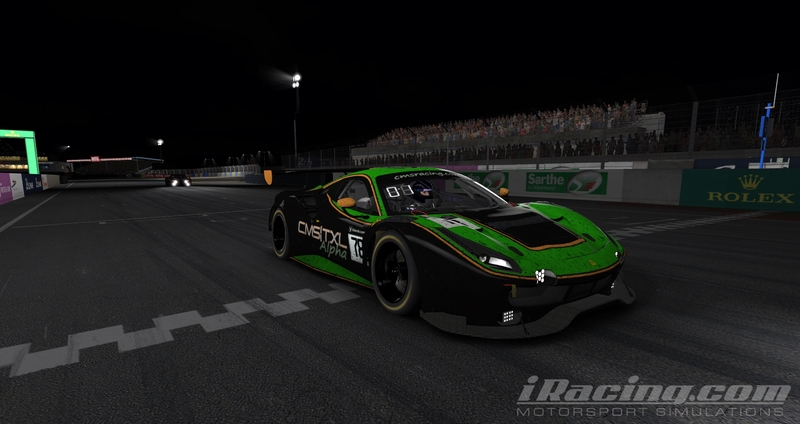 Clark Archer - After taking the win at the season opener, Clark has maintained an average finish of 2.8, and after missing Sebring came back and won at Lime Rock the following week for his second time to victory lane. With his worst finish this season a 5th at Nurburgring, the last three races of this season will be quite the battle between the top dogs in this division.